Jonny Brownlee and active Alfie can do 10 jumps in a row… how many can you do? 1. Grab a long skipping rope and ask two friends or family to join in. 2. 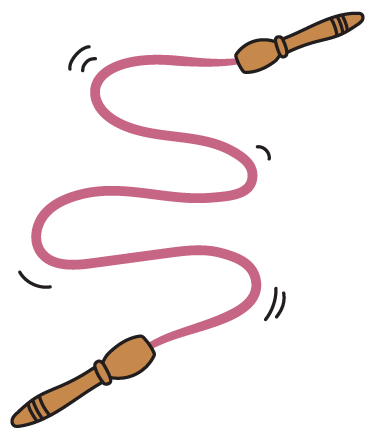 Ask your friends or family to hold each end of the skipping rope handles. 3. Whilst holding the handles, ask them to lay the skipping rope down flat on the ground, and then wiggle the rope side to side like a snake. 4. See how many jumps you can make over the rope without touching it! 5. Take turns with your friends or family to see who can jump the most. 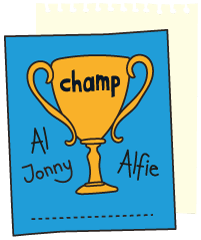 Download Alfie’s hop, skip and jump challenge pack to get your own personalisable certificate signed by The Brownlee Brothers and active Alfie! Why not share a photo of your little one gettin’ active like Alfie in our good sports album below… who knows, we might have a treat in store for them for getting involved! skipity-doo-da... Megumi Suzuki from Japan skipped 162 times in 30 seconds... how many skips can you do in 30 seconds?